Daniel Bolognesi’s CrystaliZed asks up the question, what if an entire chassis was clear? 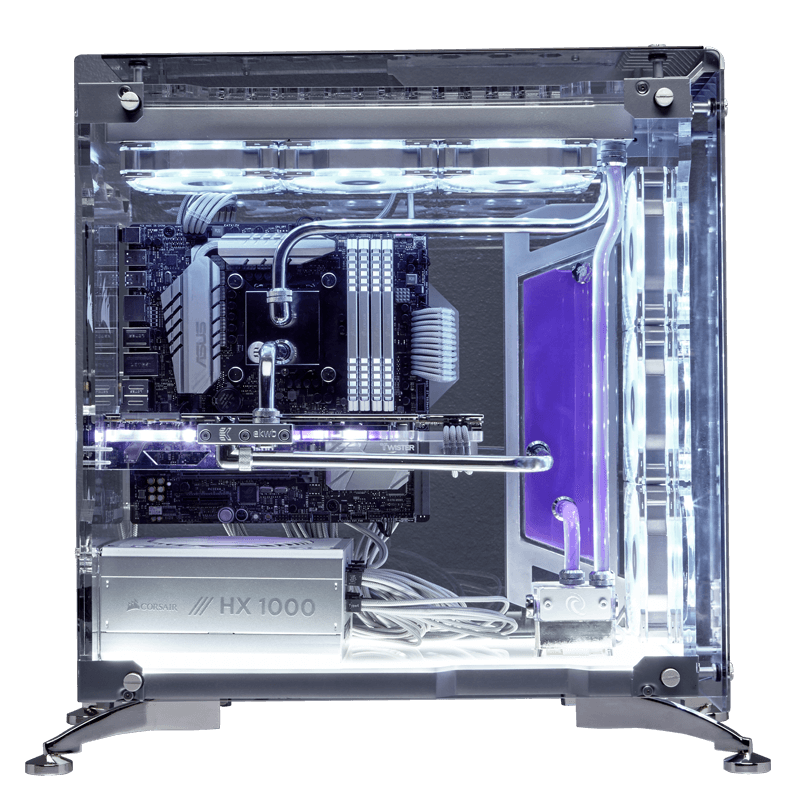 With custom clear acrylic panels, the chassis appears to be crystallized, seemingly a floating platform for the custom reservoir, nickel-plated hardline tubing, and hand-painted silver internal components. With the addition of chromed feet and beautifully routed sleeved cables, it exudes opulence.